Following fundraising during our Christmas season in 2017, we have been delighted to donate £500 to local charity Myton Hospice. 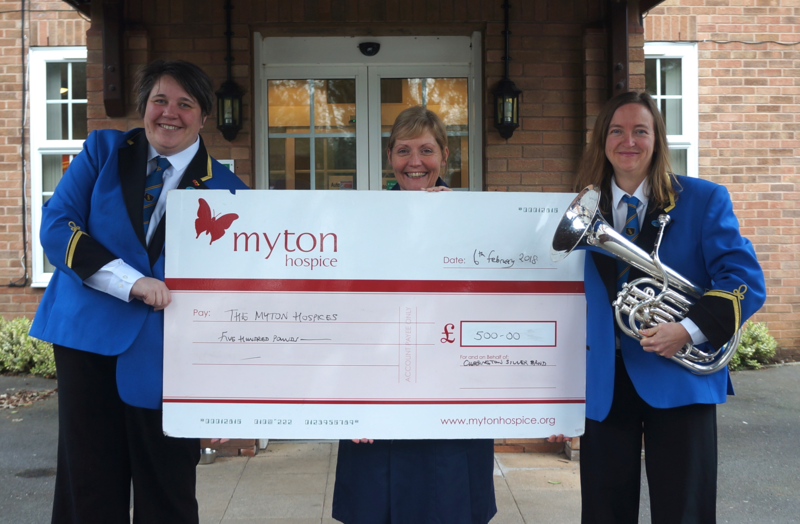 The band has supported Myton Hospice for a number of years and is a cause that is close to many members of the band and we look forward to supporting them again in the future. Cubbington Silver Band like to support a range of charities through concerts and events throughout the year and we look forward to collecting for Myton Hospice each Christmas season.